Orlando Bloom is Kissing a Cosby Kid! All right, I am SLIGHTLY exaggerating with my headline but hello, wouldn’t it be amazing if Orlando Bloom was swapping spit with a grown-up Rudy? Before anyone sues me for libel (hahahaha good luck with that. The only thing of value I own is almond butter. That sh–‘s expensive! ), allow me to explain. The artist formerly know as Legolas announced his split from wife Miranda Kerr today. 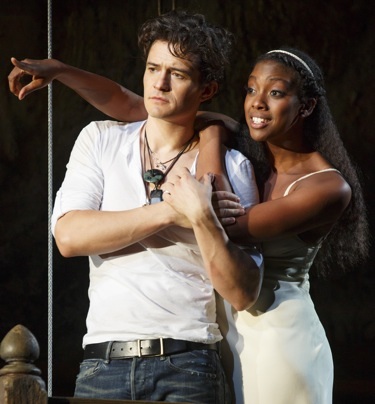 Today he also appeared on Live with Kelly and Michael, where he talked about kissing Condola Rashad, who plays Juliet to his Romeo in the Broadway revival of Romeo and Juliet written by some British guy who’s dead. Ummmm . 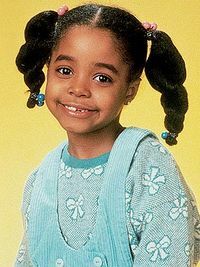 . . Condola is Clair Huxtable Phylicia Rashad’s daughter! Now, I’m not saying that Condola is the reason why Bloom and Kerr are separating. Who knows why they actually split. It’s none of my business (ha!). BUT there were rumors floating around that Kerr might have, get your barf bags ready, hooked up with Justin Bieber. Yes, I just threw up a little too. Orlando, if you need anyone else to kiss I’m available. This entry was posted in Love Hurts and tagged Condola Rashad, divorce, Miranda Kerr, Oralndo Bloom. Bookmark the permalink.